One connector for all Riverdi intelligent displays – the RiBUS. The RiBUS is the perfect BUS for connecting your product with Riverdi intelligent display solutions. It can run with any size or type of Riverdi intelligent display. Once you have it on your device, you don’t need to worry about changing displays mid-project – it just works. Many manufacturers are already implementing it in their designs. Many manufacturers are already implementing the RiBUS in their designs and seeing the benefits. We can work together with your company and add a RiBUS connector to your product, too. MikroElektronika has been using the RiBUS for years. 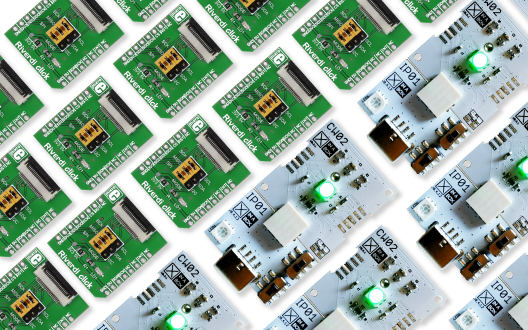 Their Riverdi click works as an adapter that connects Riverdi displays to the mikroBUS compatible development boards. Learn more. Through our partnership with XinaBox, the popular modular electronics manufacturer, a new line of XinaBox development board with the RiBUS connector has been brought to the market. It’s a simple and efficient way to prototype, and build products with Riverdi displays. Learn more. Why you should implement the RiBUS? If you are looking for a fast and efficient way to build prototypes with Riverdi displays the RiBUS is the answer. 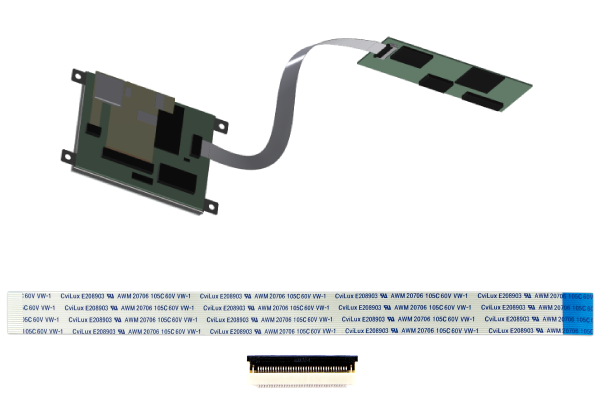 A standardized connector that engineers can use to connect an intelligent display to any product. Just connect your product to the Riverdi displays of your choice and you’ll have it up and running in minutes. 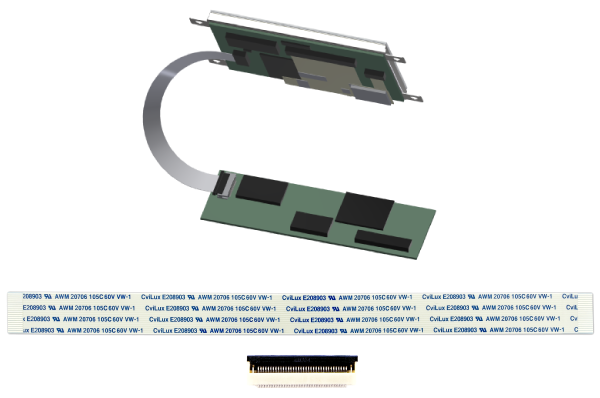 Of course, the RiBUS connector can be used with any display size, and with different touch panels – capacitive, resistive or uxTouch. Do you want to switch to another display in the middle of your project? No problem – the RiBUS connector works perfectly with all Riverdi intelligent displays. We want to help you get the perfect prototyping tool for display solutions, and that is why we are offering free RiBUS connectors to every company that wants to add it to their product. Please contact us if you want to implement the RiBUS in your design and we will work together and promote your solution. 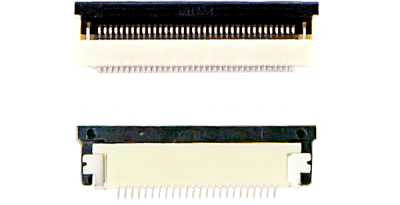 The standard RiBUS connector accepts 20-pin FFC cables with 0.5mm pitch. The standard FFC cable is the FFC0520150 (20-pin, 0.5mm pitch, same-side connection, 150mm length), as indicated in figure 1. Alternatively, the FFC0520150x offers the same features but opposite side connection, as indicated in figure 2. Below you’ll find all the documentation related to the RiBUS connector.